One of the more eye-catching designs from the Candylab Toys collection, Plum 50 turns heads with its vibrant color and elegant silhouette. The large hood air intake alludes to a powerful engine (even if it’s just imaginary), making this car a perfect choice for adrenaline-fueled races. Premium quality and durable, Plum 50 is made of solid beech wood and comes with rubber tires. The bright purple water-based paint boast a clear urethane coating which adds a glossy finish to the surface. 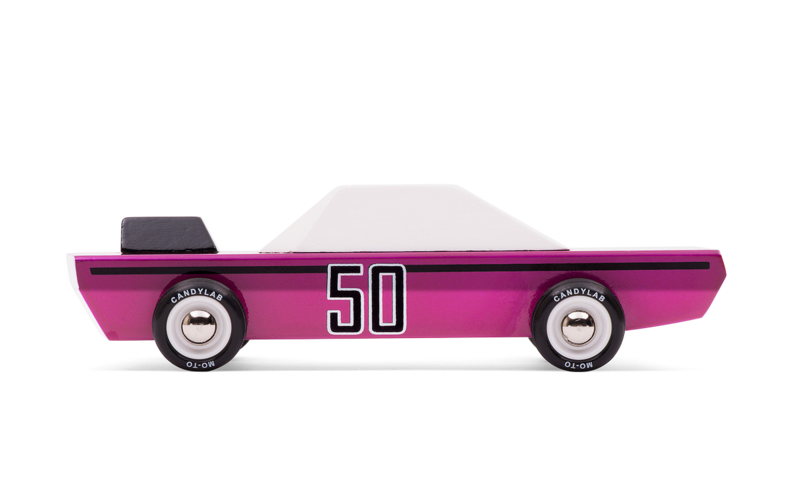 Other racing car designs from Candylab Toys include Stinger, Doc Ryder or Orange Racer – all available in our store.